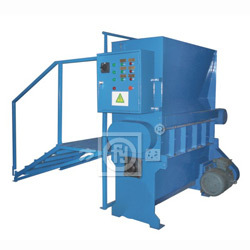 Hangzhou Fangyuan Plastics Machinert Co., Ltd.
EP EPS recycling system consists of crushing machine, de-duster and mixer etc. The crushing machine smashes wasted EPS products or EPS scraps into granule, then through de-duster to service and remove the dust. After sieving and de-dusting, the recycling material is mixed with virgin material according to definite proportion, and to be used in both shape and block moulding machine. Usage of recycled material reduces the production cost and increase your profit, also preserves the environment. 1. Capacity: 25 - 30m3/ h.
2. Diameter of beads smashed: 4 - 12mm. 4. Overall dimension (L x W x H): 2204 x 2000 x 2014mm.